Eugene Skovorodnikov took his post-graduate course at the St. Petersburg conservatory (Russia) where he remained teaching until 1990 when he left the country.In 2006 he was awarded an Honourary Doctorate in Musical Arts by Kharkov State University of Arts, Ukraine for his achievements in performance and teaching. 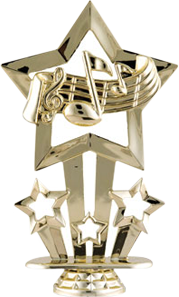 He was invited to perform in famous concert halls of the world such as St.Petersburg Philharmonic Hall (St. Petersburg, Russia), Chan Centre for Performing Arts(Vancouver, Canada),Theatre Bibiena (Mantova, Italy), Grand Theatre (Shenzhen, China), Xinghai Concert Hall (Guangzhou, China), Centre for the Performing Arts ( Kfar-Saba, Israel), Ghione Theatre (Rome, Italy), Kharkov Philharmonic Hall (Ukraine). Eugene Skovorodnikov is concertizing extensively as solo pianist and as chamber performer with such artists as Italian virtuoso flautist Stefano Maffizzoni; Russian violinists Alexandre Brussilovsky and Victor Kuleshov: internationally acclaimed clarinetist Julian Milkis, world renowned cellist Mischa Maisky, and many others, and with symphony orchestras. He was invited and reinvited to perform with such symphony orchestras as ” Sinfonia”, “West Coast Symphony” (Canada), Kharkov Philharmonic, L’vov Philharmonic, Donetsk Philharmonic (Ukraine), Irkutsk Chamber Orchestra, St. Petersburg Philharmonic, “Hermitage” Chamber Orchestra (Russia), Mexican State Orchestra, Monterrey Symphony Orchestra (Mexico) and many others. 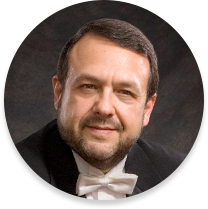 Eugene Skovorodnikov is the President and Artistic Director of “Music Encore Concert Society” (Canada) , and “Tzar’s Village Divertimento” International Music Festival and Master-class (Russia). He is frequently invited to perform and give masterclasses at the international festivals such as ” Summit Music Festival ” in New York, International Music Academy in St.Petersburg (Russia), Masters de Pontlevoy (France), “International Chamber Music Festival” in Positano (Italy) and Shanghai (China), “Kharkov’s Assemblies” (Ukraine), “Burgos Music Festival” (Spain)From 1991 to 2011, Eugene Skovorodnikov has been teaching with the piano faculty at the University of British Columbia (UBC) in Vancouver, Canada. Many of his students became winners of national and international competitions. *Surcharge of $95 per hour in addition to the tuition fee will be applicable.